Three new US dramas are about to be unveiled by Network TEN. The first of these, Cane, premieres tonight. 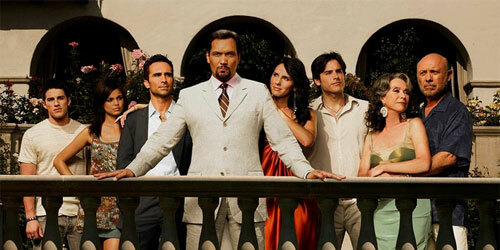 Jimmy Smits is the head of a sprawling Cuban-American family in the deep south of Florida. Dubbed as “an Hispanic Dallas” his clan run a rum and sugar business. It all sounds like a coffee-coloured version of Brothers and Sisters. But few of the characters are as likable as the sentimental Walker family. Despite the inclusion of strong performers like Rita Moreno, much of the opening episode is quite laboured. And although it is penned by a Cuban-US scriptwriter this feels a lot like Cubans living an American Dream, just with a telenovela style. In fact had it been given a little bit more salsa in the opening episode it might have made me want to return for a second ep. Maybe it will hit its strides once the pilot has finished setting up its mammoth cast. Journeyman is best described as a new Quantum Leap. 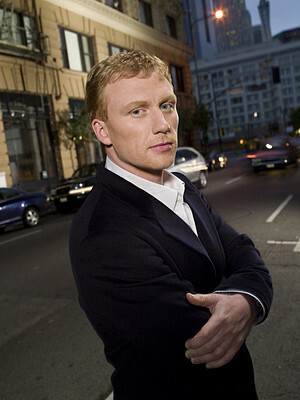 Kevin McKidd (yet another UK acting American) is a newspaper reporter in San Francisco who travels through time. How he achieves this isn’t altogether clear in the opening ep. But stepping into a cab isn’t recommended if you’re heading to California. All of the time travel sequences, in which he lands back in the 1980s, bamboozle our hero, and he tries to rationalise them as memory lapses. On initial viewing this was somewhat frustrating until a twist began to unfold in the second half of the pilot. It was thenthat I became more intrigued at what Journeyman had in store. Maybe I will travel back to my TV for a second dose. The strongest of the three new shows is Psych. James Roday stars as a guy who, since childhood was trained by his father (Corbin Bernsen) to have a photogenic memory and heightened observational skills. By adult life its all second nature to him. 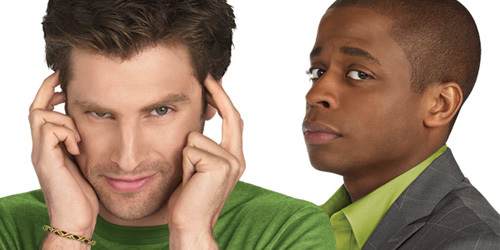 Psych is light in tone, an easy mix of comedy and mystery that sits right at home beside Monk. Roday is so assured in this affable role, he comes across as more Ben Stiller than Ben Stiller. With the series already in production on series two, the signs are good that this will hold up as entertaining summer fare. bring cane i loved it . Dropping CANE was a bad move 10, people were just starting to talk about it and the interest was growing and seeing it is such a great show it wouldn’t have been long before it really took off. Have some patience or at least replace it with something better – not 2nd grade movies. I can’t believe Channel 10 dumped Cane, I watched a few episodes but only got hooked on the last 2. It rivals Sopranos. Surprisingly, my wife likes it too now. We were just starting to talk about it at work. Look how long it took everyone to get onto Top Gear?? Now its beating other shows on the commercial networks. At least let us see the last few in the series Channel 10!!! It was posted here as soon as it was announced as shifting to HD. Why is it such a secret that the viewers cannot be told when a program will not be screened? Ten advertised Journeyman only the day before failing to screen it and have yet again treated the viewers with total contempt – I wish I was a lawyer & could afford to try & sue them for punishment – fraudulent advertising maybe? If TV stations would only show me a bit of courtesy I would have no reasonable grounds for complaint! Thanks for the chance to vent somewhere! Hey David, sad to see that Journeyman has ended (this reality anyway), glad you enjoyed it on second/third epis. I loved the first, found the next few a little lacklustre, but the rest of the season is fabulous, cannot understand why it didn’t get the viewers and Channel 10 has ditched showing the rest of the show, what’s with that? I’ve seen the first six episodes and it is well worth sticking with. Great show. Really, Ten’s graphics for Cane sold me. It seems odd that a new show like Cane is not in HD. Maybe it’s because it was the pilot.